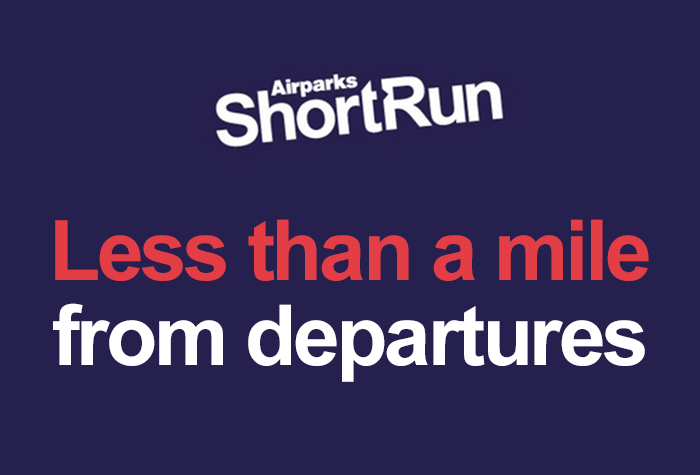 If you're looking for off-airport parking prices but don't want to sacrifice a speedy transfer, then Airparks ShortRun is just the car park for you. ShortRun is rated, on average, 4 out of 5 by 1,158 Airparks customers. You can find the full reviews on our Airparks ShortRun (Formerly Central Car Storage) Luton reviews page. Offering great value and just a 5 minute transfer to the Luton Airport, Airparks ShortRun is an excellent choice to help maximise your budget and provide a simple and convenient start to your trip. To check live pricing and availability enter your required parking dates at the top of the page and when you're ready to arrange parking at Airparks ShortRun (Formerly Central Car Storage) Luton, you can do so through our easy online booking. You can see our full range of parking on our Luton Airport Parking page. Drive to the car park and pull up outside reception. A fully insured driver will park your car for you so you don't even need to worry about hunting for a space. Important: Airparks ShortRun does not have wheelchair-accessible spaces and the transfer buses are also not accessible by wheelchair. However, Airparks staff will be happy to drive you to the airport, drop you off and park your car for you. The car park will always have staff on hand to help. While the driver parks your car, you can catch the free transfer bus to the airport; it runs on request and will have you at the airport in around 5 minutes, although we recommend allowing plenty of extra time in case there are delays due to current airport redevelopment works in operation. Please be aware, the drop-off point at the airport is a 5-8 minute walk from the terminal entrance. If you have difficulty walking, we recommend a different Luton airport parking service from Airparks. Just board the Airparks shuttle bus back to the car park and collect your car keys from reception. Your car will be ready and waiting for you to jump in and head home. Please note: This car park cannot accept any high-sided vehicles, minibuses, mobile homes, lorries, caravans, trailers or vehicles larger than 2m wide x 2.1m high x 5m long.